EPS Viewer despite converting in other file formats, it supports resizing of EPS image. EPS file contains instructions for creating lines, points, areas and colors. EPS Viewer is a free for use software tool. 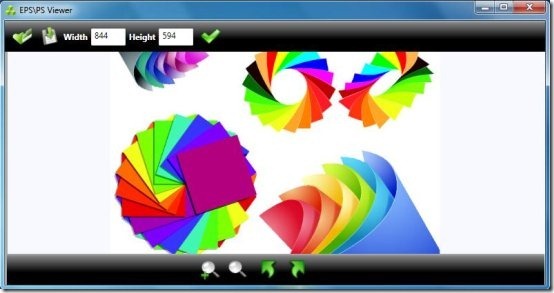 EPS Viewer can be used to open EPS graphics file, display image preview and provides option to convert opened image and save them in other file formats as .jpg, .gif, .png and others extensions.